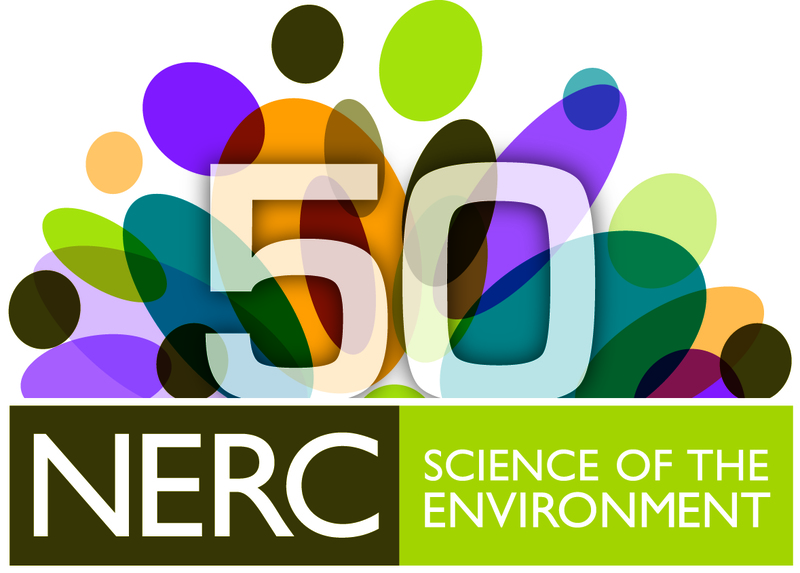 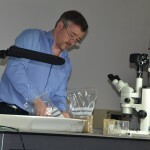 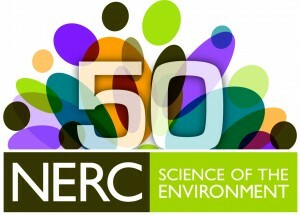 World leading research to celebrate the Natural Environmental Research Council’s (NERC) 50th birthday in association with Bournemouth University (BU). 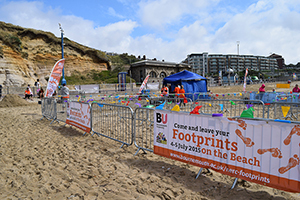 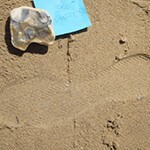 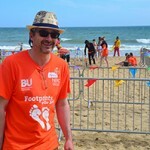 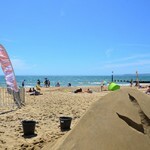 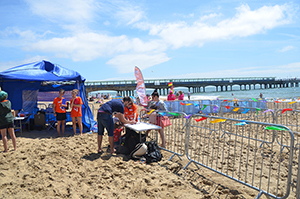 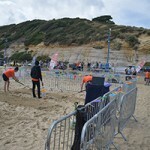 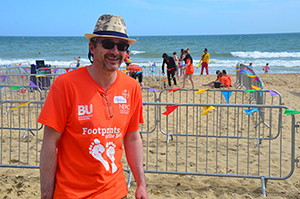 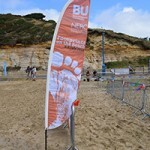 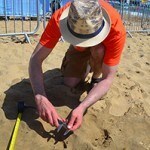 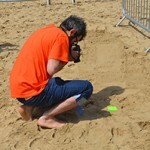 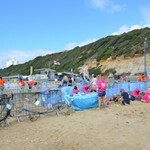 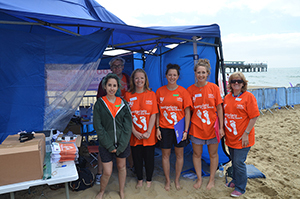 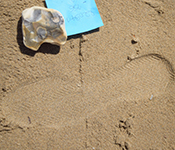 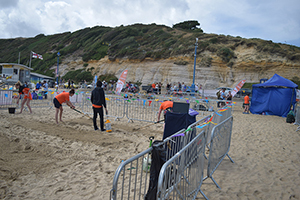 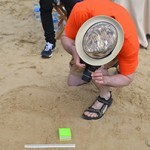 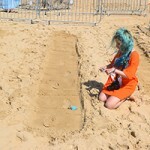 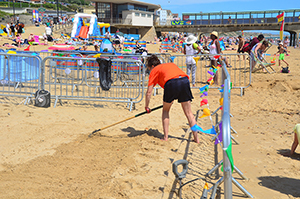 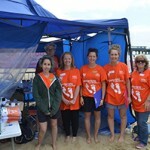 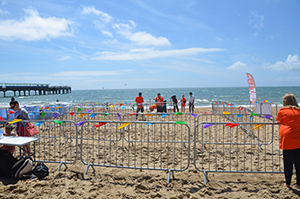 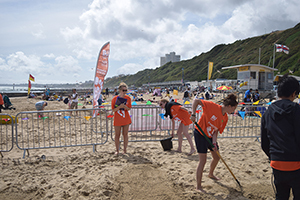 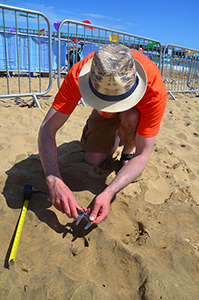 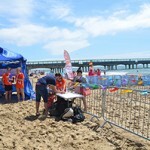 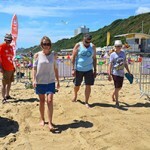 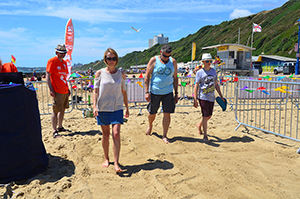 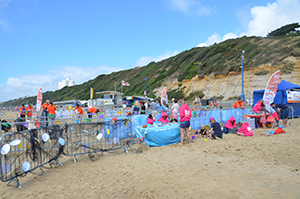 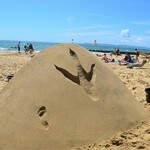 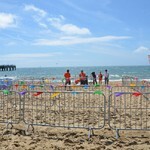 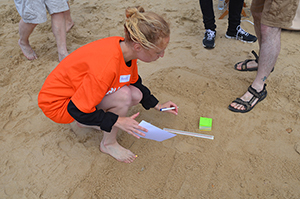 During the weekend of 4-5 July 2015, staff from BU’s Institute for Studies in Landscape and Human Evolution ran a series of science experiments on a Bournemouth beach. 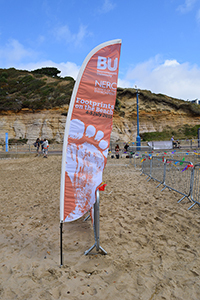 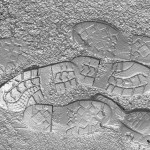 The event was a huge success with more than 600 footprints from 200 people collected over the weekend from locals, passers-by and tourists. 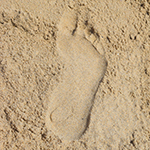 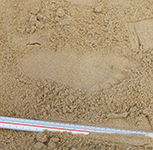 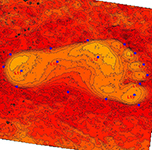 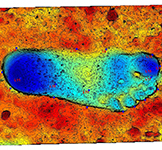 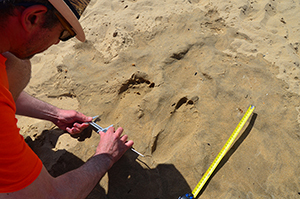 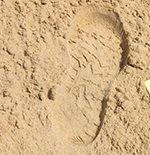 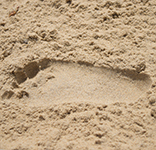 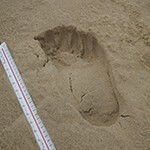 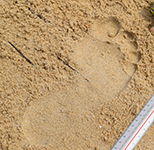 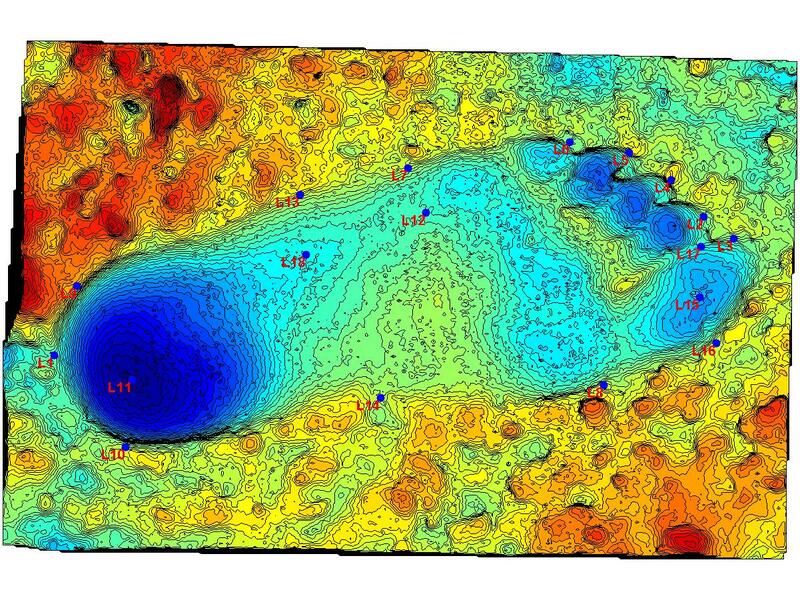 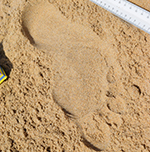 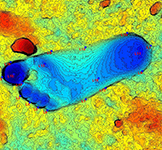 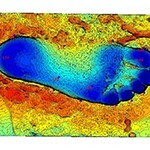 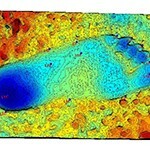 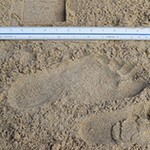 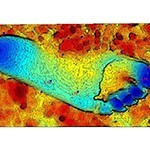 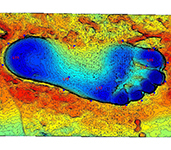 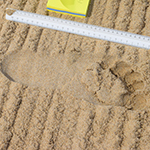 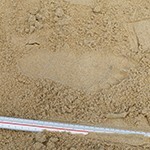 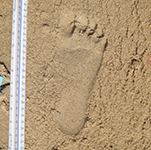 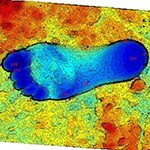 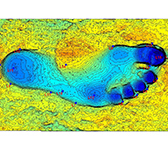 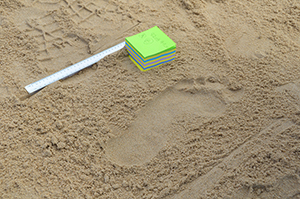 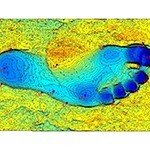 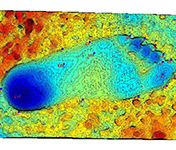 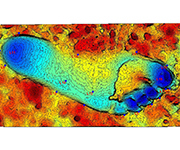 This contribution of bare foot and shod impressions has provided an excellent data source for the ongoing project of translating existing research on ancient footprints, into a forensic science tool that will help crime scene investigation in the future. 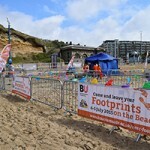 After a slight adjustment to our plans for the day due to damage to one of the gazebos (it was completely destroyed in the overnight storm :-/) our day began by setting up the area to mark out the designated areas. 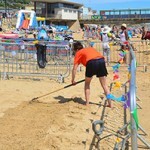 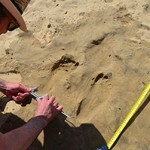 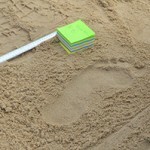 Each run had to be cleared of stones and raked over to create a level surface for the prints to be left on. 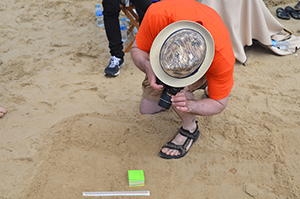 We set up the 3D scanner along with the weigh and measure station ,with only a few creative measures to keep the height stick in place (you gotta love duck tape!). 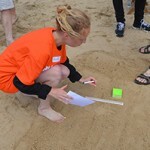 We split off into our three teams, recruiting, meet and greet and processing and got to work. 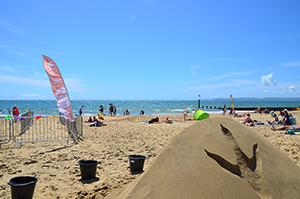 The weekend went smoothly, apart from a couple of power outages from the generator and an ongoing battle with the sun drying out the sand forcing us to spray water over each run before every print set was left. 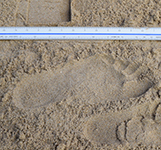 Even so, we achieved an impressive 200 sets of prints in both shod and unshod feet. 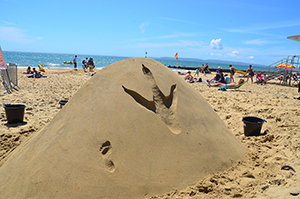 Quite an achievement even if we do say so ourselves! 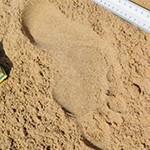 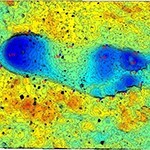 Follow the blog posts on this site to find out more. Did you participate? 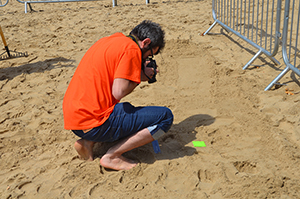 If so, watch this space as access to your prints will be available here in the coming months. 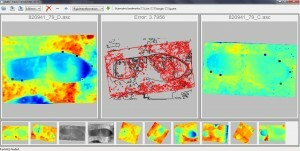 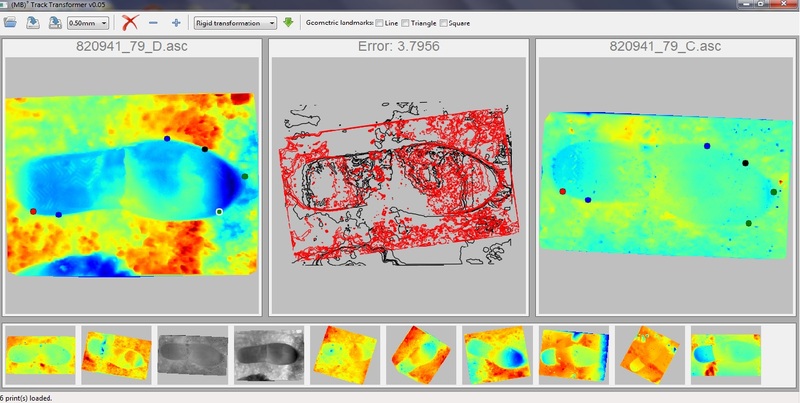 Screenshot of the Track Transformer software in use.